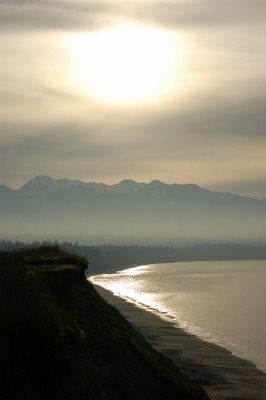 This is a view from the bluff at Dungeness National Wildlife Refuge. Off in the distance is the north-western edge of the Olympic mountain range. To the right is the Strait of San Juan de Fuca - the bit of ocean between the Olympic Peninsula and Vancouver Island. It was nice to see and hear the ocean. This place is incredible - mountains, forests, and ocean all in one spot! 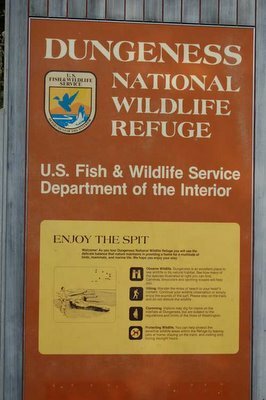 Plus, you just gotta love a place that has a sign that says, "Enjoy the spit!" 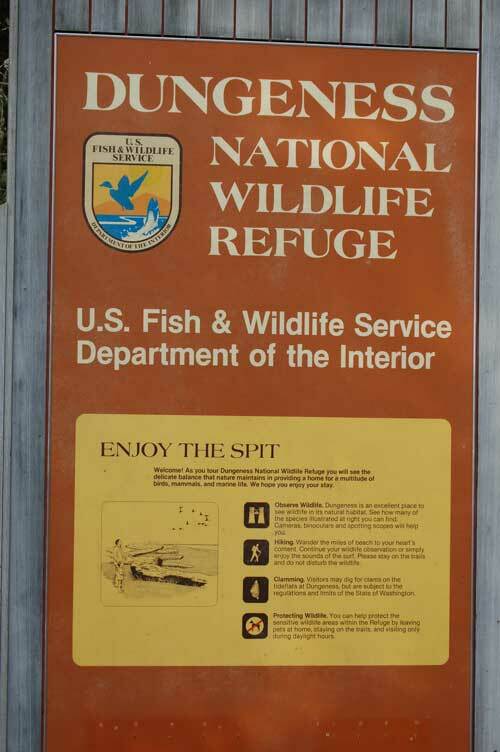 Have you ever been to Arcadia National Park in Maine? It also has the mountains, forest and ocean and is definately worth visiting also. you would like it.